My concern is that Genesis be understood at the deepest possible level since the material there is foundational to the whole canon. Genesis should not be forced into a modern mold. We should make the effort to understand what this material meant to the archaic peoples for whom this divine revelation was sacred. One of the best ways to do this is to apply the tools of cultural anthropology. At JUST GENESIS I apply standard tools and methodologies to the Biblical text to lift up anthropologically significant data. This is an investigation into the prehistoric roots of Biblical peoples using kinship analysis, comparative linguistics, climate and migration studies, molecular genetics, and archaeology. Kinship analysis of the Genesis king lists has confirmed that these are authentic lists pertaining to historical people. The marriage and ascendancy pattern of these archaic rulers is important because it points to the ascendancy of Jesus Christ. The first place we find the pattern is among the rulers listed in Genesis 4 and 5. This is a scientific approach to Genesis, having little to do with the more speculative approach of theology in which the term "anthropology" has a different meaning. Christian anthropology is the study of humanity through the lens of Christianity and primarily focuses on the nature of humanity in reference to the Creator and to creation. In a sense, this approach places a template over the material. A scientific approach removes the template and allows us to note details and nuances that we might not see with the template. A scientific approach lifts up the data and allows it to speak for itself without forcing a given interpretation, be it Young-Earth Creationism, Theistic Evolution, ID, literalism, or the speculation of the Biblically illiterate. Allow me to give just two examples. The writers of Scripture refer to Adam as the first created human. Of the surface it would appear that all humans are Adam's descendants. However, the material refers to the experience of a specific group of humans from whom Noah, Abraham, Moses, David and Jesus descended. If one insists that Adam and Eve are the original first parents of humanity, then one must reconcile this with the millions of years of human existence on Earth. While the Bible certainly speaks of Adam as the symbolic first father, there is an alternative view of Adam as the founding father of the "red" people who anthropologists today would recognize as belonging to the L and R1 haplogroups. Redness was a sign of royal blood, and this is noted in reference to rulers of this ancestry, including Esau and David. The Genesis text suggests that this is the meaning of the name Adam. Adam was a red man. When we place the emphasis on Adam and Eve as the progenitors of all humans, we distract from the evidence that verifies what Genesis tells us about Abraham's Proto-Saharan (sometimes called "Kushite") ancestors. Noah was one of the Proto-Saharan rulers who would have been in the R1b haplogroup. On this map his homeland is marked by the deep red mark in central Africa. The R1b Haplogroup is often presented as a European haplogroup and it has been shown that 70% of men in Britain are in this group. However, the dispersion of peoples in this haplogroup is extremely broad and among the archaic rulers there are many cultural commonalities. These include solar symbolism for the High God, shrine cities at high elevations, control of the major water systems, similar cone shaped structures, knob sticks carried by the clan chiefs, circles of standing stones, stone tombs, and burial in red ocher. Consider also the assertion in Genesis 11:1 that the people who dispersed out of Africa in this group had common linguistic roots. That has been demonstrated in recent phoneme studies. This is what Genesis 11:1 means:“Now the whole world had one language and a common speech.” This "whole world" is like the whole world that appeared to Noah to be flooded. The whole world is what was known to the people or the testimony that was received by them from their ancestors. Common sense tells us that we are not required to take this literally. The was the understanding of the peoples who are mentioned in Genesis 10 (the "Table of Nations") and it is from them that we receive this information. Comparative linguistics has demonstrated a connection between the languages of the peoples named in the Table of Nations. To avoid abusing the Table, the best science should be used to investigate this material. Consider the recent research connecting the Luwian hieroglyphs, Hittite hieroglyphs and Egyptian hieroglyphs. The Luwian scripts took two forms: (1) Akkadian cuneiform, as with the Hittite scripts found at Hattusa, and (2) Egyptian hieroglyphic. Both writings systems are connected to the Proto-Saharan rulers who dispersed out of Africa into the Mediterranean and Southern Europe. The spoken language had properties typical of Chadic, Nilotic and ancient Sumerian languages, which like spoken Luwian, are ergative-agglutinative languages. The Luwian writing system is known from quotations in Hittite documents and from ancient scripts from Crete and Cyprus. If in Genesis 10 a modern language or a people of recent history appeared, we would have reason to suspect that someone had tampered with the text. Instead we have reliable data that aligns with the findings of anthropology, linguistics, archaeology, and DNA studies. Genesis 25:1 tells us that Abraham’s second wife was Keturah. The placement of this information after the death of Sarah creates the impression that Abraham married Keturah after Sarah died. However, Abraham, like his father and his grandfather, had two wives simultaneously. The wives maintained separate households. Sarah resided in Hebron (Kiriath-Arba) and Keturah resided in Beersheba, to the south. 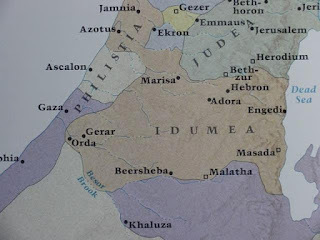 This means that Abraham's entire territory was in the region of Edom (Edom or Idumea means "land of red people") and suggests that he was a great Horite ruler, along with those listed in Genesis 36. Many of the archaic rulers who were mummified and buried had red hair and red beards. The males of the Tarim Basin mummies are an example. Their DNA classifies them in Haplogroup R1a1a. Likely, this is the same Haplogroup of the redheaded man in Burial no. 79 at the ancient Horite shrine city of Nekhen along the Nile. The wavy red hair and full beard of the man in Burial no. 79 had been trimmed with a sharp blade. In Genesis 25:5 we read, “Abraham left everything to his son Isaac. While he was still living, he gave gifts to the sons of his concubines and sent them away from his son Isaac to the land of the east.” The practice of sending away sons did not begin with Abraham. Sent-away sons were kingdom builders who spread the faith of their ancestors, the Horite Habiru/Hebrew, across the ancient world. 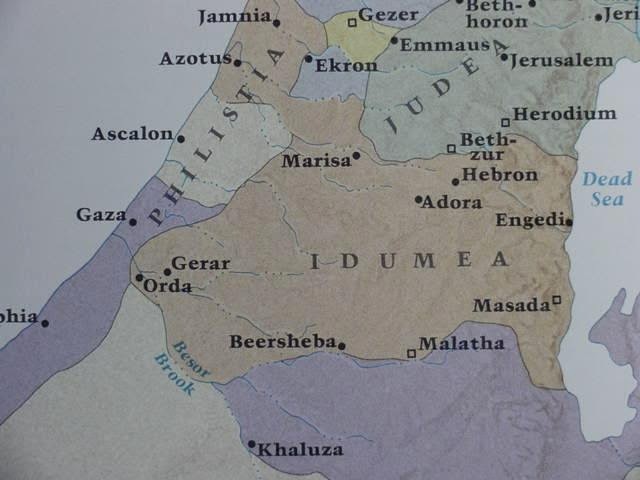 Isaac inherited Abraham’s territory, as he was the proper heir, being the first born son of Abraham's half-sister wife. He would have relied on help from his brothers who were men with resources living in their own territories. We know that Isaac was close to his Beersheba/Negev brothers because he was living among them when Abraham’s servant returned with Rebekah (Gen. 24:62). Beersheba is also where Abraham lived out his last years. Genesis 25:5 gives priority to the line of Isaac, and in so doing, discriminates against Abraham’s other sons and their descendants. Abraham had at least eight sons: Ishmael (Yismael), Isaac (Yitzak), Zimran, Jokshan (Yaqtan), Medan, Midian, Ishbak (Yishbak) and Shuah. Likely, he also had a son by his concubine Masek, Eliezer. These were chiefs of their clans and their divine appointment was indicated by the initial Y, the long horns cradling the Sun. This was a sign that the High God had overshadowed them. Among their European kinsmen the appointed chief wore the antler headdress of the red stag. 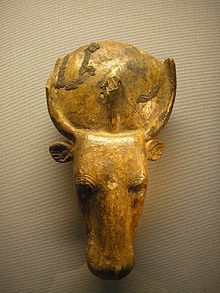 This is analogous to the circlet of bull horns worn with the Atek crown of the Pharaohs, and the Apis bull images in which the horns cradle the Sun. The Y sign is evident in the names of New Testament persons also. Yeshua (Jesus/Joshua) and Yaḥyá (John) are examples. Anthropological investigation into the familial relations of the archaic rulers and chiefs contributes to a better understanding of the ancestry of Abraham and his ruler-priest caste. Though Abraham is often credited with introducing monotheism, it is closer to the truth that he received a tradition concerning "the Good God" and he came to trust that God with his full being. Therefore Abraham is called the "father of faith" (Genesis 17:3-6; Genesis 18:18; Exodus 3:6; Isaiah 51:2; Romans 4:11,16; Galatians 3:7; John 8:33-41). My research involves tracing antecedents, looking for the older pattern from which Judaism emerged in the Axial Age. I want to know about the religion of the archaic rulers who believed in a supreme Creator, about the origin of Messianic expectation among those rulers, and how they dispersed widely, establishing kingdoms from Africa to Asia and from Southern Europe to Ireland. I am always asking the questions: Where did this culture trait comes from? 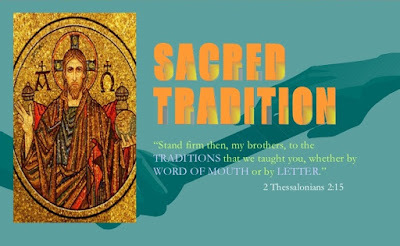 When did this religious practice first appear? How does the pattern of sons ascending relate to the Son's ascension? "A scientific approach removes the template and allows us to note details and nuances that we might not see with the template." Aren't you just fooling yourself? The unfolding scandals in peer-reviewed journalism suggests to me that human beings are congenitally incapable of living up to the ideals of Science. 11 The matter distressed Abraham greatly because it concerned his son. 12 But God said to him, “Do not be so distressed about the boy and your slave woman. " I this a spin by the Deuteronomist later? I began this research 35 years ago as a skeptic. I figured that the Genesis 4 and 5 "genealogies" did not represent historical persons and I decided to diagram this material using E. L. Schusky's Manual for Kinship Analysis. To my surprise, analysis of the diagrams revealed that these rulers had an authentic kinship pattern. When I investigated further, I discovered that this distinctive marriage and ascendancy pattern persists throughout the Old Testament. I view anthropological science as valuable. As to peer review, I have never concerned myself about that. Since nobody is doing this work, there are no peers. However, there are well-informed persons and cultural anthropologists who follow this research and contribute to it from time to time, which is as it should be. There are many reasons why a son might be sent away from his home. Cain was exiled after killing his brother. Moses fled after killing an Egyptian taskmaster. David went into hiding with his men. Abraham left because Nahor, his older brother, ascended to Terah's throne, and God told Abraham that HE would give him another kingdom. While Ishmael was sent away, he does not fit the typical pattern of a sent-away son. He was Egyptian, since ethnicity was traced through the mother and Hagar was Egyptian. He also married an Egyptian. Likely, he inherited a holding from his Egyptian kin in the region of Paran. Typically, sent-away sons had to win their territories through battle, conquest, or through forging alliances. They were to establish themselves in entirely new territories. This feature of the marriage and ascendancy pattern drove the "Kushite" expansion out of Africa. Nimrod, the son of Kush, was a sent-away son who established his kingdom in the Tigris-Euphrates valley. Nimrod is a Nilotic title. It means "ruler over the waters." His Akkadian name was Šarru-kīnu, which is usually translated “the true king.” He is described as a warrior-hunter or a mighty hunter. The term is related to the Hausa sarkin maharba, meaning chief or lead hunter. Sar means king in Sumerian. Sar-gon means "most high king" or "king of kings". In the Targum nah shirkan refers to a great hunter. Will you ever write and publish these findings and interpretations in a book? "I see Cultural Anthropology 101, kinship stuff, the Afro-centric emphasis and literary criticism, deconstruction style, and a lot about priests and shamans (more cultural anthropology). I'm having trouble getting a coherent thread I can follow...."
My sentiments exactly. I've tried to ask the same question before (though perhaps not quite as diplomatically or considerately, for which I apologize). I must admit that I do have difficulty seeing how, for example, evidence that Rebekah was Isaac's second wife can be found in Scripture. Maybe what I need is a brief explanation of kinship analysis and of how it can be applied to a question like that, instead of just being presented with the conclusion. Honestly, for all that I like this blog and continue returning to it, it is often hard for me to see how the conclusions follow from the premises. Michael, it is difficult to find a publisher for such a book and self-publishing is costly, with little financial gain. That is why I have been using the blog format for about 8 years. Many readers find the Archive/INDEX helpful. I keep it current and it is easy to use. Thanks for reading JUST GENESIS! Here is an article that provides a good explanation about Isaac's second marriage. Thank you for your comment. Such feedback is helpful.